Dr. Douglas B. Sam was born and raised in Santa Monica, California. He Attended UCLA for his undergraduate studies and received a Bachelors of Science Degree in Kinesiology. He then went to USC School Of Dentistry for his Doctor of Dental Surgery Degree. Dr. Sam has attained a very wide background in many different aspects relating to Dentistry. Dr. Sam believes that in order to grow in his profession, one must always strive to learn about all different avenues of Dentistry. At Dockside Dental, we do more than just perform the latest Dental Techniques. We strive to understand Dentistry and Patients from a PEOPLEs  point of view. 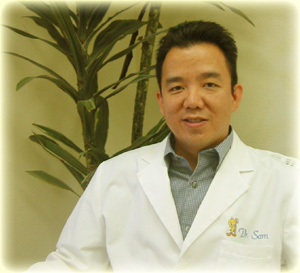 Dr. Sam has practiced Dentistry for over 10 years. He continues to work within the community to offer Dental Services and Education to elementary schools. He has worked as a Dental Auditor in which he would review other Dental Offices to ensure that the conditions and services were proper for patients. Dr. Sam has also served on Peer Review to settle Doctor  Patient conflicts. Dr. Sam is a member of the American Dental Association, California Dental Association and the Western Los Angeles Dental Society.